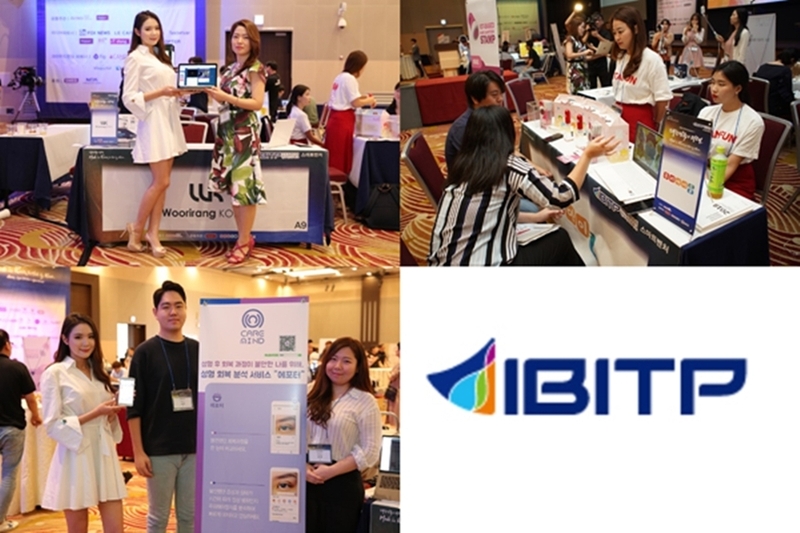 Incheon Business Information Technopark (hereinafter Incheon TP) participated in this event to help pioneer the global market of and promote smart venture campus companies. Care Mind presented plastic surgery recovery analysis service 'Afoter', which received a certificate of the Ministry of Health and Welfare. Care Mind has developed 'Afoter', an application for patients who face anxiety due to all kinds of symptoms during their plastic surgery recovery period. This platform analyzes the picture uploaded and symptoms entered on the app and automatically provides various information such as the danger level of symptoms, recovery speed, recovery stage, and expected time of completion. This service helps users feel relieved by telling solutions for the recovery of unpleasant symptoms after surgeries. Care Mind was recognized for the performance and possibility of 'Afoter' by 'IT Dong-A', an IT/Tech media, and was selected for 'Global Media's Best of MIK 2018 Top 3' Awards. 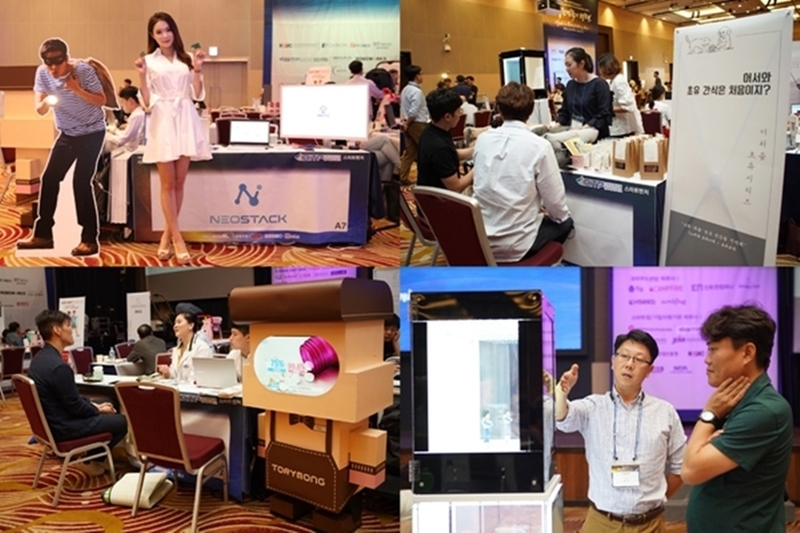 Screen net developer Neostech presented a 'smart crime prevention screen net' using IoT sensor in this exhibition. Starting with the developer of Homecury screen net, Neostech has supplied various products such as crime prevention, safety, and fine dust screen nets applying IoT technology under a brand name 'Winets'. By successfully developing an IoT sensor that fits the era of 4th industrial revolution, Neostech applied it to a smart crime prevention system that can monitor in real-time and respond immediately to the home security and safety issues such as low-rise households, which are vulnerable to trespassing, as well as young children's fall risks. Medi-i presented 'One Pill Only', a medical and pharmaceutical information contents. With the support of Incheon TP, Medi-I has been producing video contents and card news based on various medical and pharmaceutical information and supplying them through YouTube. As a medical and pharmaceutical information for YouTube viewers in their teens, 20s, and 30s, 'One Pill Only' is highly accessible as it produces contents both offline and online through KakaoTalk Plus Friend and Facebook comments. Recognized for its innovativeness by an Early Adopter that introduces the latest IT/Tech/gadgets the fastest in Korea, Medi-I was selected for the 'Global Media-chosen 'Best of MIK 2018 Top 3' Awards. Woorirang Korea revealed its Korean language learning program and video conversation platform using K-wave videos. Woorirang Korea runs an online Korean video conversation platform using video contents. The 'Woorirang Patterns' applied on the video contents allow Korean language students study the grammar in a systematic way, and K-wave videos that are used as Korean language textbooks help students learn Korean in a fun and easy way. Woorirang Korea's 'online Korean video conversation platform' consists of videos of 10 different topics. Through its website, the platform provides services such as 'unlimited contents to watch and learn Korean during a certain period of time, video conversation, and customized learning management for students. Pet supply brand Roaco is specialized in manufacturing pet supplies that reflect the 3 trends of pets such as pet-learning, pet-xury, and pet-pride. It especially produces and distributes mattress, sofa, and pillows, and has been expanding its position as a professional, premium brand by entering Lotte Department Store and through a home-shopping broadcast. The mattress presented during this event helps pets sleep pleasantly using a cool mattress, which can control the elasticity and longitude, and the antibiotic cover of Aegies. Swan Electronics presented a 'transparent display' that can be applied in various fields, earning the honor of being selected for the 'Global Media-chosen 'Best of MIK 2018 Top 3' Awards by the U.S. Fox News and 'To be Top Start Up Competition Awards'. Specialized in developing 'transparent display', Swan Electronics manufactures various sizes of 'transparent displays' that are highly-usable in different fields. The transparent display presented during this event can maximize the advertising effect by showing exhibits in more detail and vividly from various angles. It has also increased visibility by maintaining the mirror function. WooriKids presented organic cosmetic product 'Hand Sanitizer Stamp' during this event. WooriKids cnoducts research on fun ways to wash hands as a habit for children who have low awareness of germs. The company is focusing on developing products for consumers with young children and kindergarten and school teachers. It also provides a service of sharing information such as checking children's commuting, handwash habit analysis, and disease information to their parents, through big data analysis after connecting its app with the stamp. WooriKids' organic cosmetics 'Hand Sanitizer Stamp' is a small packaging product that has improved the weakness of organic products with short duration period, and can be ordered and shipped through a smart application. Incheon Business Information Technopark (hereinafter Incheon TP) participated in this event to help pioneer the global market of and promote smart venture campus companies being nurtured in the institution. The 7 companies that participated in MIK2018.